The November EIPHC Phlocking will be held on Friday, November 3, 2017 at the E-Club. The fun will begin at 7:00pm. November means cooler temperatures and lots of Saturday and Sunday FOOTBALL. Come out and represent your favorite college or NFL team. There will be football related games and plenty of smack talk!! The E-Club will be providing some yummy food and great drink specials. Everyone is welcome, and if you haven’t joined yet, be sure to drop by the membership table and become a part of our fantastic organization. T-shirts will also be available for purchase and don’t forget to sign up for our volunteer opportunities. The 50/50 drawing will benefit the Boys and Girls Club. So, put of your favorite jersey, paint your face or do something really crazy to show your team spirit and join us as we PARTY WITH A PURPOSE!! The Island Time Tavern and The Emerald Isle Parrot Heads are teaming up for a Charity Chili Cook-off on Sunday, October 15, 2017. 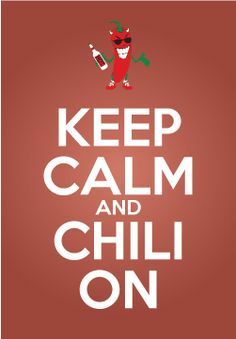 We are in search of the best “Chili Cookers” that Emerald Isle has to offer and of course some lucky “tasters” to choose the “Chili King or Queen”. Bring your best pot of chili and help us raise money for cancer research!! There is a $10 Entry fee for chili makers and a $5 fee for tasting!! The tasting is fantastic (especially when paired with a cold brew)!! The winner of this year’s event will receive a plaque and a $50 Island Time Tavern gift certificate!! Bragging rights also will be allowed for one year!! So dig deep for that secret family recipe or invent something new. You will need to bring your entry in a crock pot and bring your own ladle for serving. Chili entries must be at Island Times Tavern by 12:30 and the Tasting begins at 1:00. See you all there! It’s time to get “Pretty in PINK” and raise money for a great cause! The week of October 6-15, 2017 will be packed full of fun and fundraising with the Emerald Isle Parrot Heads sponsoring events during the week in support of the great cause. Check out the weeks events at www.fishinforacure.com or on Facebook-Fishin’ For a Cure. It’s not too late to sign-up for any or all of the events. The EIPHC will once again sponsor “Tutus for Tatas” (AKA-Divas Run for the Roses) on Saturday, October 14th. Registration will be from 9:00-9:30am at Flipperz. The walk will start at 10:00am and will conclude with a champagne toast and awards/giveaways. This is always a fun time so put on your PINK and join us!! 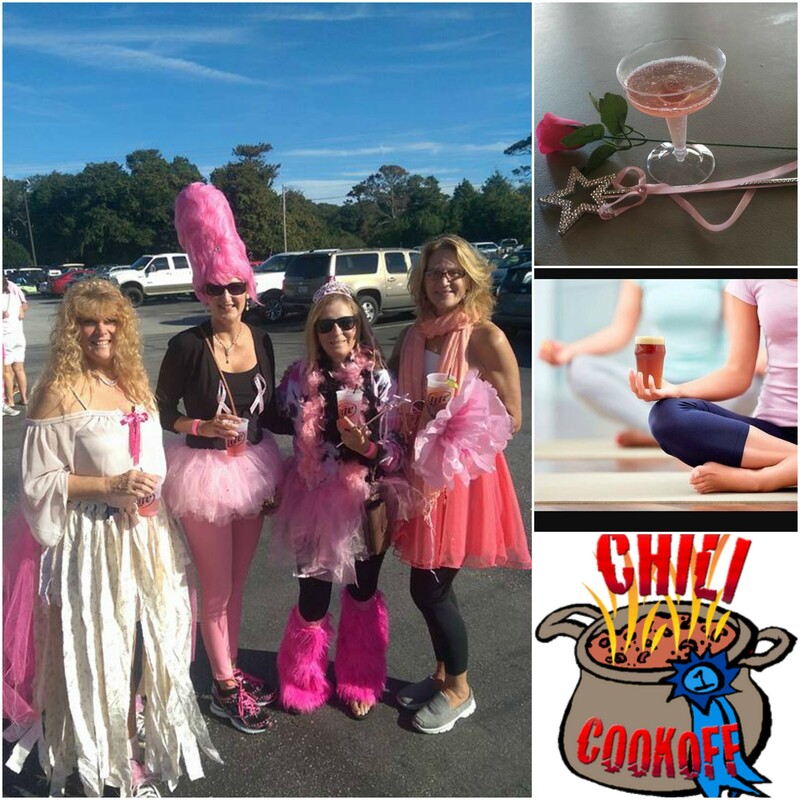 On Sunday, October 15th we will wrap up the weeks events with Beer Yoga and our Charity Chili Cook-off. Ann-Maria (our island YOGA GODDESS) will be leading beer yoga at Island Times Tavern from 10:00-11:00am. Donations will be accepted to cover your participation. Hang around after yoga or come in a little later for our Charity Chili Cook-off (also at Island Times Tavern). The chili tasting will begin at 1:00pm. The entry fee is $10 and the tasting fee is $5 with all money raised going to cancer research. This is always an AWESOME week on Emerald Isle and the events raise a lot of money for charity. You will not want to miss a minute of FUNdraising! !